I’ve been dreaming of the UK since I left a few months ago. My month long UK road trip was probably one of the best trips of my life! The weather was on my side, the people were so friendly, the food was surprisingly better than I had expected and the drives were some of the best I’ve ever experienced…yes even compared to Italy! I loved all the colorful and unique storefronts! 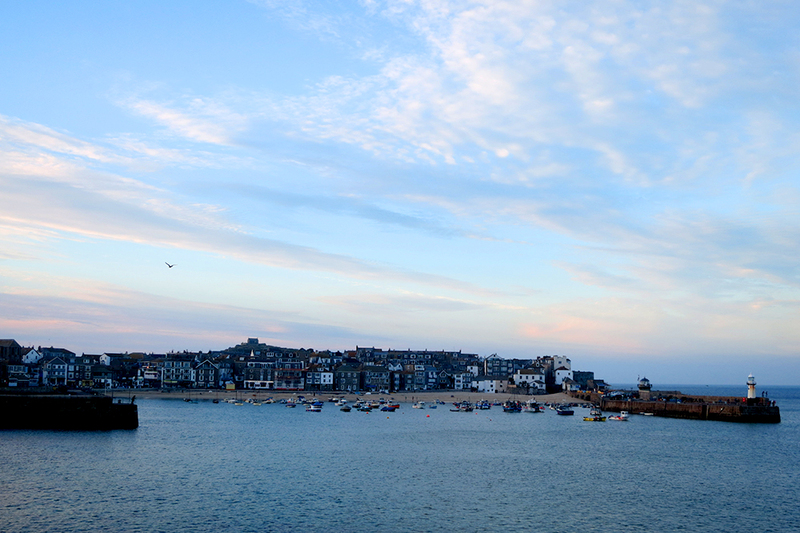 After a night by Padstow and a two hour cliff hike, I was now in the old fishing town of St. Ives Cornwall. It’s been a holiday destination since 1877 when a railway was built and based on my stay in September I would say that it’s still quite the hot spot. My travel comrade and I drove down to the very tip of town and parked on the dock. TIP: bring change for the meter or you’ll have to bum a ticket from a friendly shop clerk if you have no change. Yes, this happened and the shop clerk was extremely sweet. 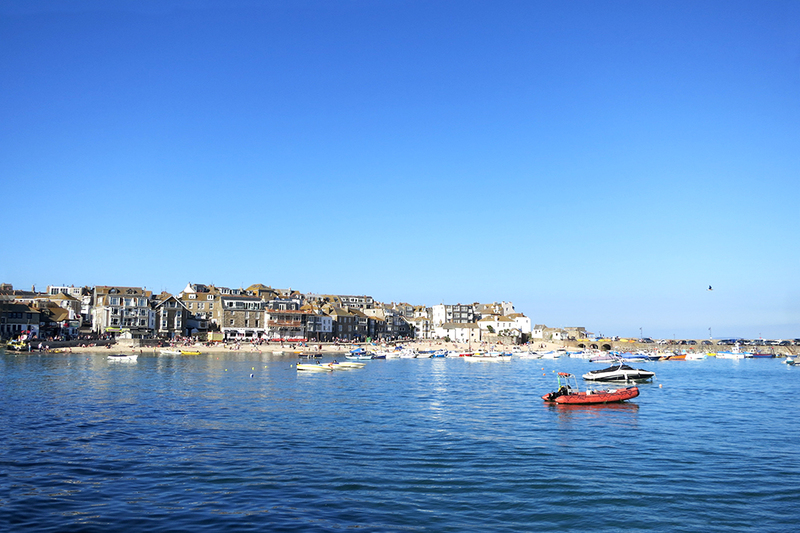 The center of St. Ives was filled with travelers, seagulls and seafood. After a stroll around town, which took 15 minutes, we ended up on top of the town at Pedn Olva. 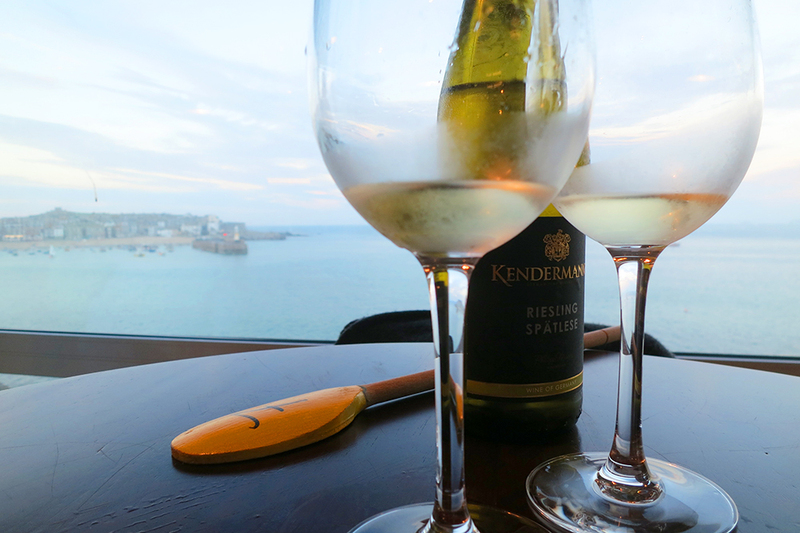 It’s a hotel which has a restaurant and bar with the best views! Dinner was about 5 plates of everything that looked incredible plus a cold bottle of Riesling! The plan was to stay one night BUT the B&B—The Old Vicarage—stole our hearts, so we decided to bum around for two nights. The next morning breakfast was, well, English. I had my fill of eggs, sausage, tomatoes, brown toast and tea. It was a lazy day with distractions from YouTube videos, Instagram, work…all in slow motion. 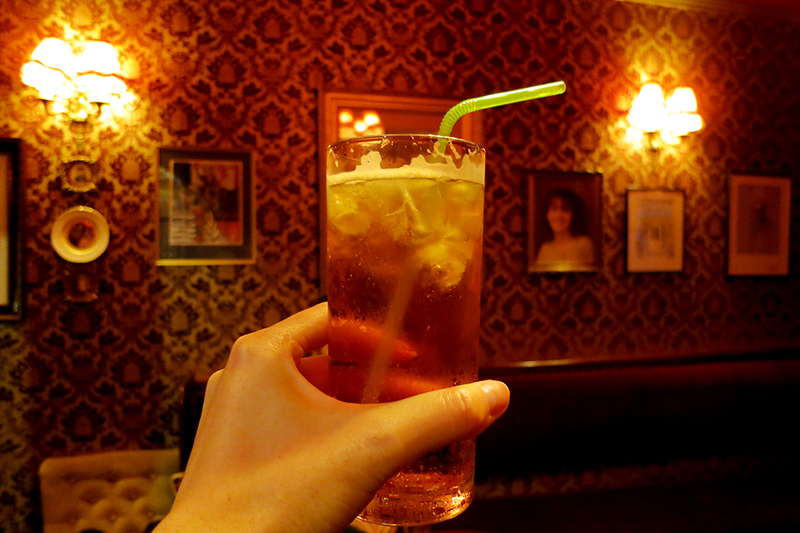 By 5 o’clock my body got a second wind, which meant it was time for a Pimm’s Cup at the B&B’s bar. It was a self serve fully stocked bar. My kinda place! I made a Pimm’s Cup sans the fruit, wrote my room number and drink on the tab and relaxed. The fellow B&Bers joined in and I soon found myself surrounded by couples in their 50’s and 60’s sharing stories, love tales and humorous travel fails. The Brits have THE best sense of humor. Cheers to the best B&B in Cornwall, The Old Vicarage! 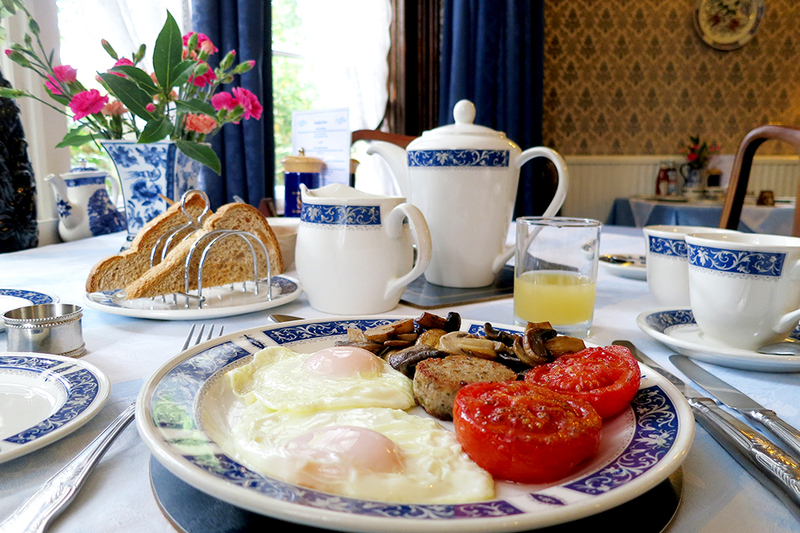 The next day started off with yet another English breakfast…these breakfasts deserve a post of their own! We then said our tearful goodbyes and were off. 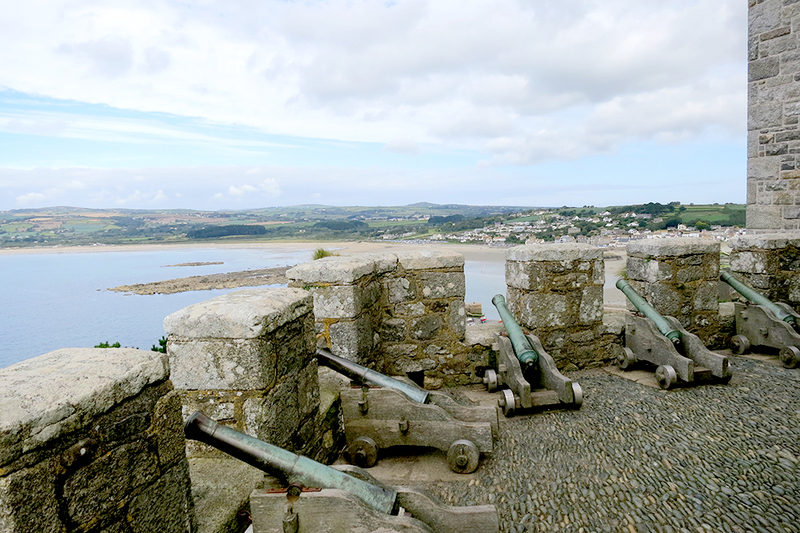 I was dying to see the Tate, but it was time to head to St. Michael’s Mount! 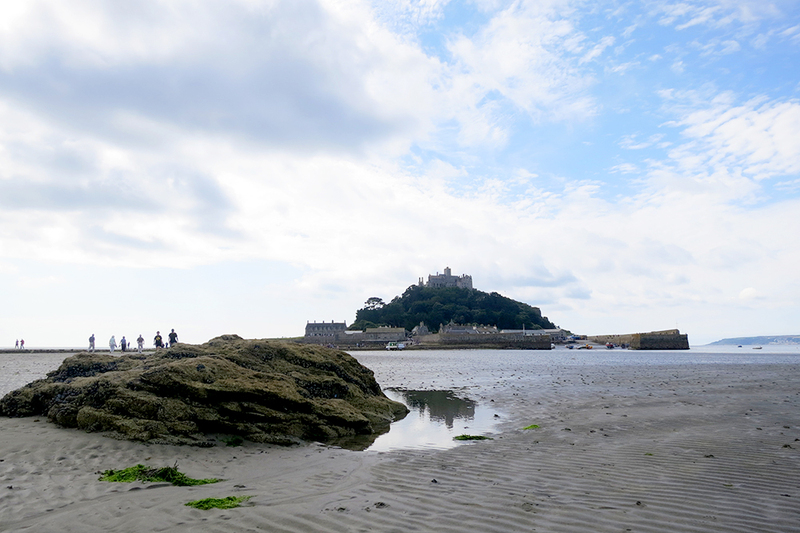 A fellow travel blogger, Teresa, went up St. Michael’s Mount a few days before, so I thought it would be fun to check it out for myself. 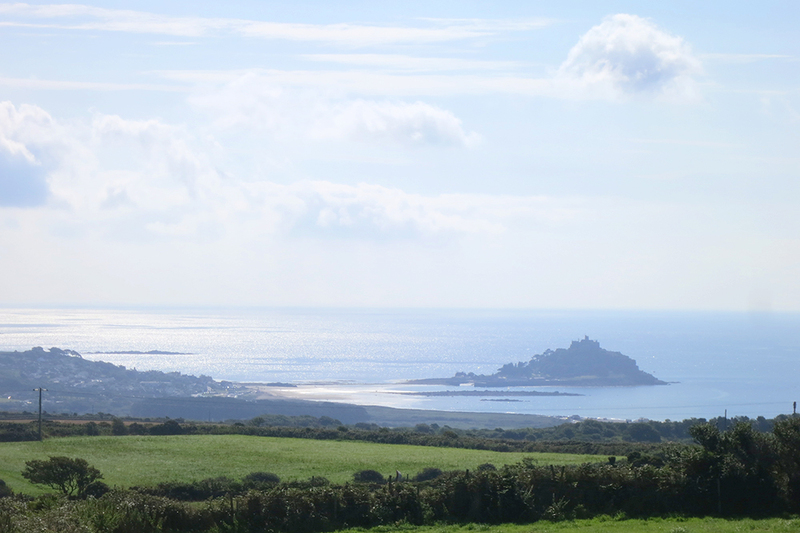 After a quick drive through Penzance—remember the Pirates of Penzance?—we arrived in Marazion. We parked and began the walk over soft sand and water towards the island. It was the first time I had to walk on water to get to a destination. I have since become holy. We were treated with two press passes by the friendly staff. The hike up this place of pilgrimage and prayer was gorgeous! The Mount played an integral part in tin trade back in 350 B.C. and in 450 B.C. 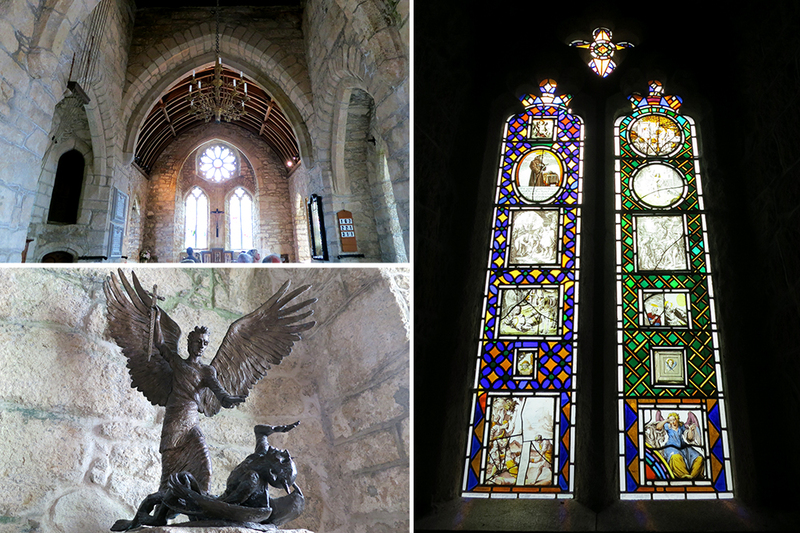 it was where the Archangel of St. Michael appeared as a vision to many fishermen. The property was eventually granted to the monks of St. Michel in France and then seized by English hands in 1193. 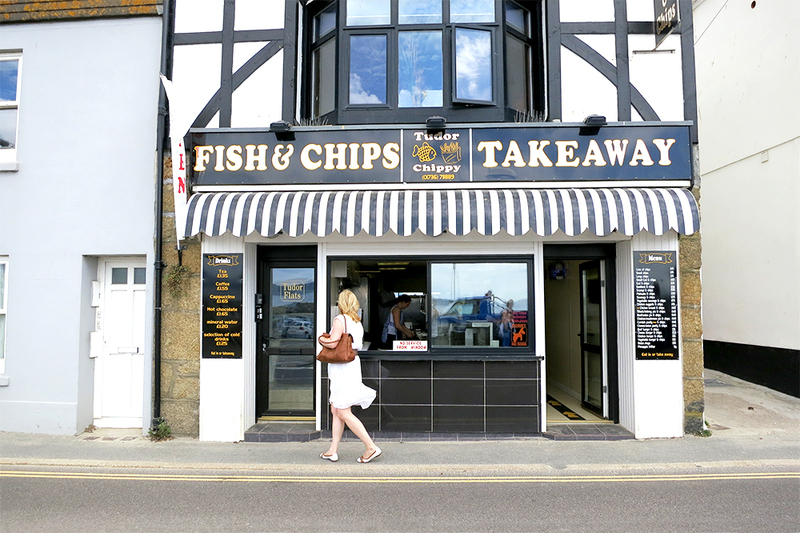 Time for fish and chips! 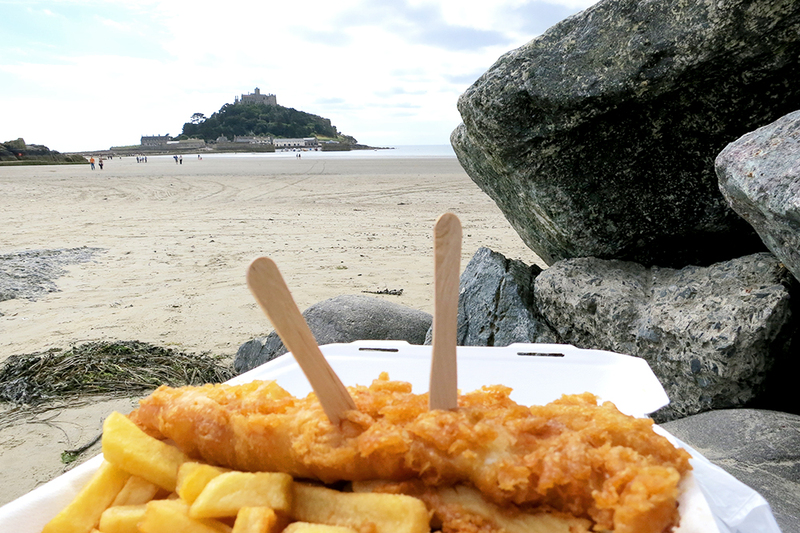 Besides all of the history and site seeing, the fish and chips at Chippy right across the Mount completed the day! 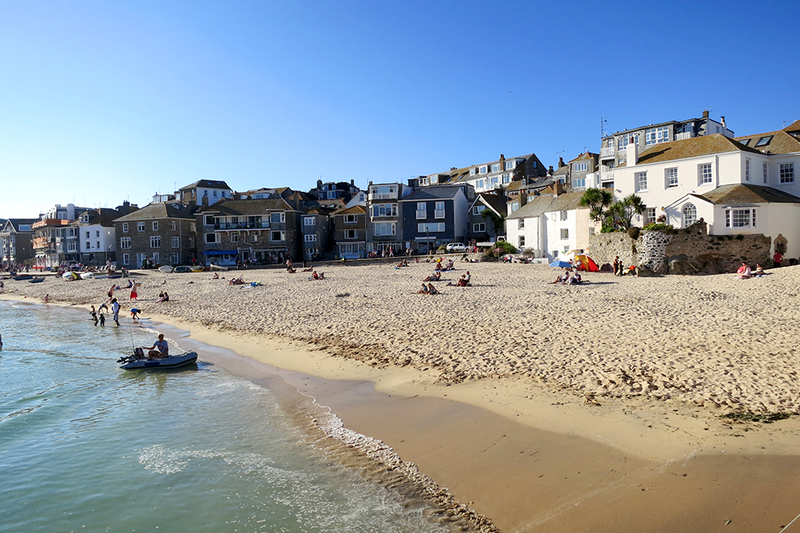 My time in St. Ives was memarable thanks to the walks, Pimms, talks, English breakfasts, Dianne at the Old Vicarage, and drives. Next up, BATH! What’s your favorite area of the UK!? Did you also think that St. Ives would be selling St. Ives hand lotion at every corner? Yes it was, the day was gorgeous and the walk was actually quite exciting. Who doesn’t love a walk on the beach and water?! 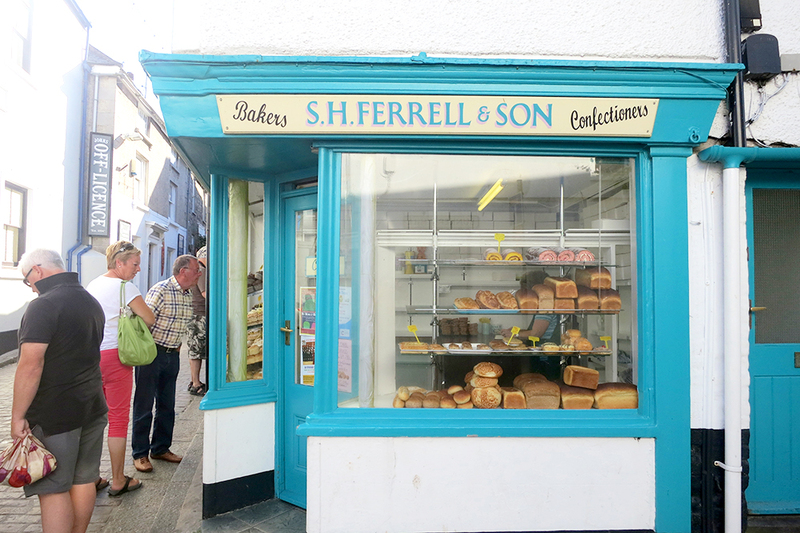 😉 So glad I got to share an ice cream with you in Padstow, another place I would love to go back to. Thanks Becky! I had the best time there. 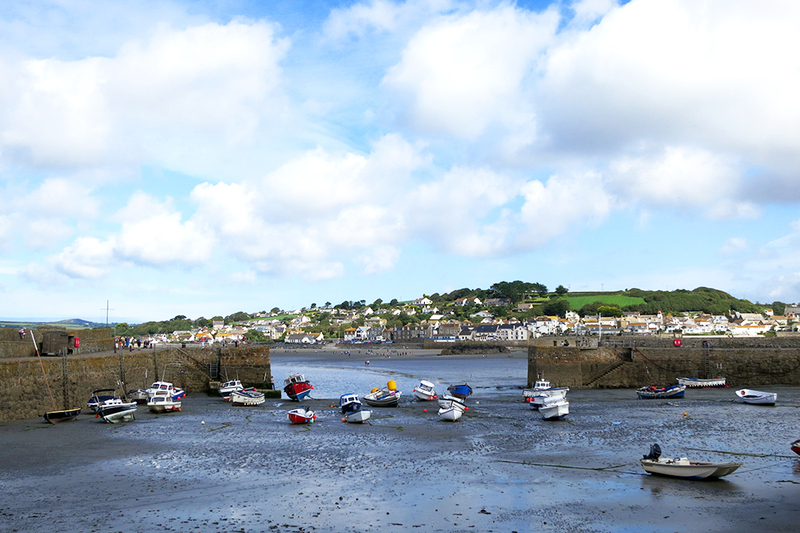 I loved all of Cornwall, hard to choose just one spot. Yes I plan to write more. I loved Bath, York, Chester and so many parts in Scotland! 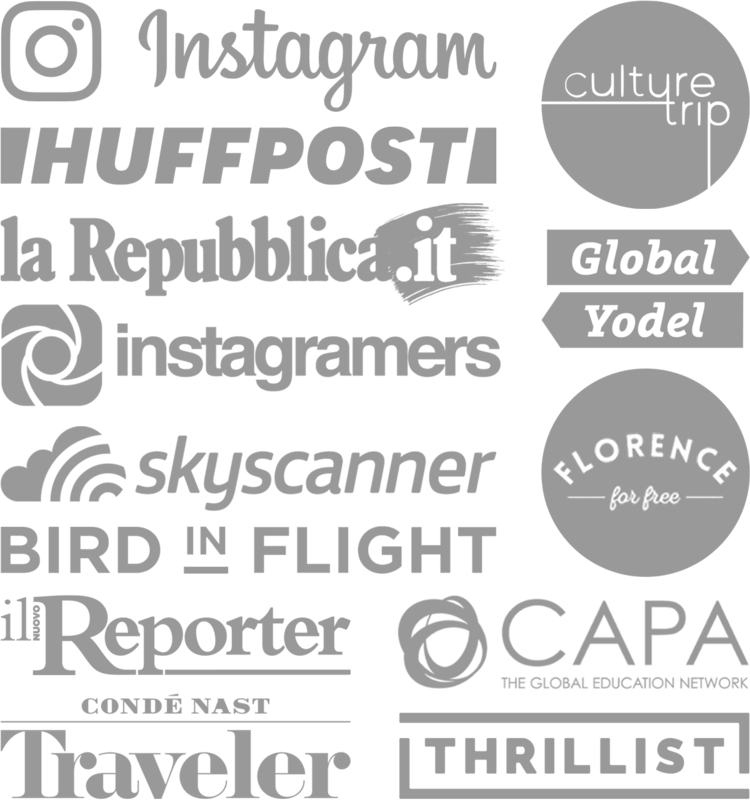 Many events have happened in Italy, so it was difficult to only write about the UK! Did you subscribe so you can get the UK stories in your inbox when they are published?